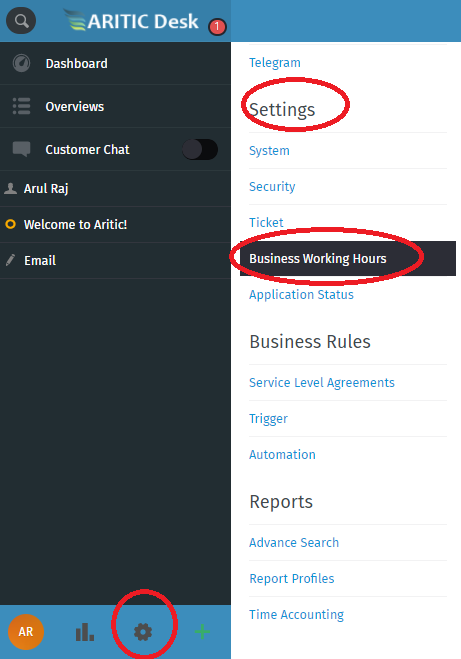 Go to AriticDesk Dashboard > Admin > Settings > Business Working Hour. 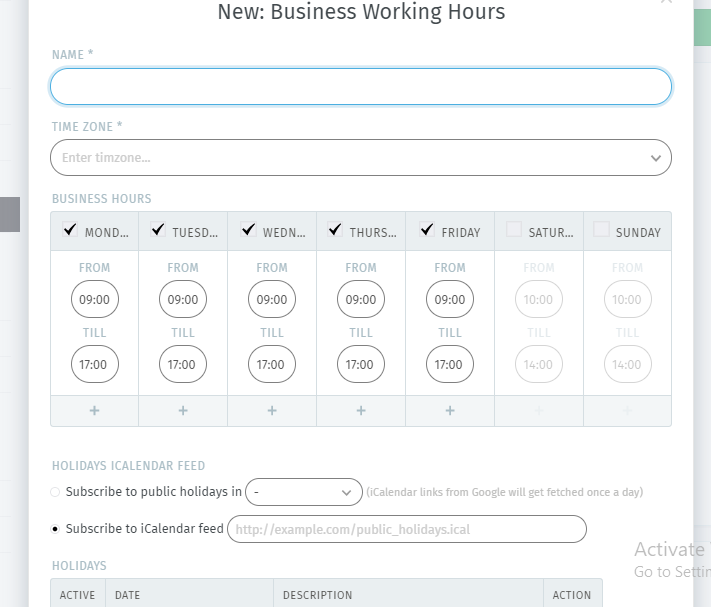 Click on “New Business Working Hour” at the right corner of the screen. In the new modal window inside “Holidays Icalendar Feed” , mark “Subscribe to public holidays in” and choose the country of your choice.